What does one carry in a name? The custom, among Ashkenazi (Eastern European) Jews, to name a child after a deceased family member is meant to keep the name and the memory of that person alive. It is supposed to forge a bond between the soul of the named and the soul of the namesake. It’s also a way of reminding us that we come from an inhabited past. My brother Larry, my cousins Louis and Linda and I are all named after my mother’s father, Layzor (Louis) Weiskopf. Louis was a carpenter by trade (his hometown NowoRadomsk was known for fine furniture, the Thonet-Mundus Factory made bentwood chairs for export). In evoking the memory the town, landsmen often recall the piney scent of lumber mills, and carpenters’ shops. Louis Weiskopf, the son of a rebbe, was a devout, good-humored Jew who davened (prayed) every morning in the traditional tefillin. Uncle Al told me that Louis’ reputation with his landsmen was based on his being ashtarker, a “strong man.” Louis volunteered to wrestle with the strong man when the circus came to Nowo Radomsk. I imagined my grandfather stepping into the ring to face his opponent—perhaps even the famous Ironman — in a crowded canvas tent while his friends cheered. Louis, his wife Sure (Sarah) Konarska Weiskopf, and her widowed sister Ruchla (Rose) and Rose’s young daughter Rivke emigrated to the United States in 1906 aboard the Furnessia, a Scottish freighter. They were young and hopeful. Here is a photo of them with their firstborn. Not until I was in my late twenties did my mother confess there was second, unofficial source for my naming. I was then living in New York City, in search of the next chapter to my life. My mother– a combustible package of energy and passion and feeling and warmth– came to visit, to offer support and to fill my bare larder with provisions that chill winter. One afternoon we went together to the Metropolitan Museum. As we strolled the galleries, she told me that—growing up in the tenements—she liked to think of the Met as her own private palace. She confided that she also named me for a sculpture of a young girl she admired on those long-ago visits to the museum. I was delighted to be the namesake of this unblemished marble, this white—no doubt Gentile– American girl with her half-smile, snub nose, and upswept hair. It was easier to relate to her than the Polish Jewish grandfather I’d never met, the man whose weary, knobby face I’d seen in a few black-and-white photos. New world innocence was so much more appealing than Old World weariness. 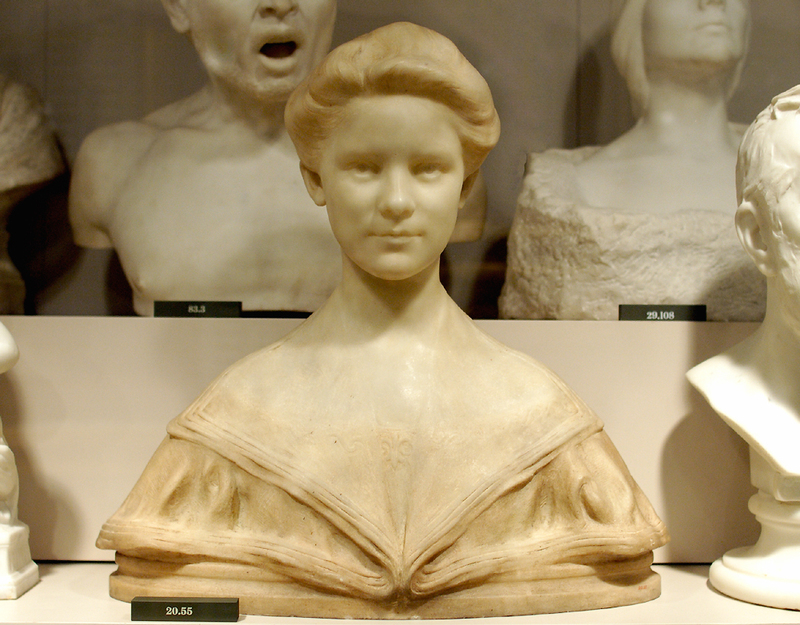 Here is the young marble sculpture Louise who caught my mother’s eye so many years before I was born. 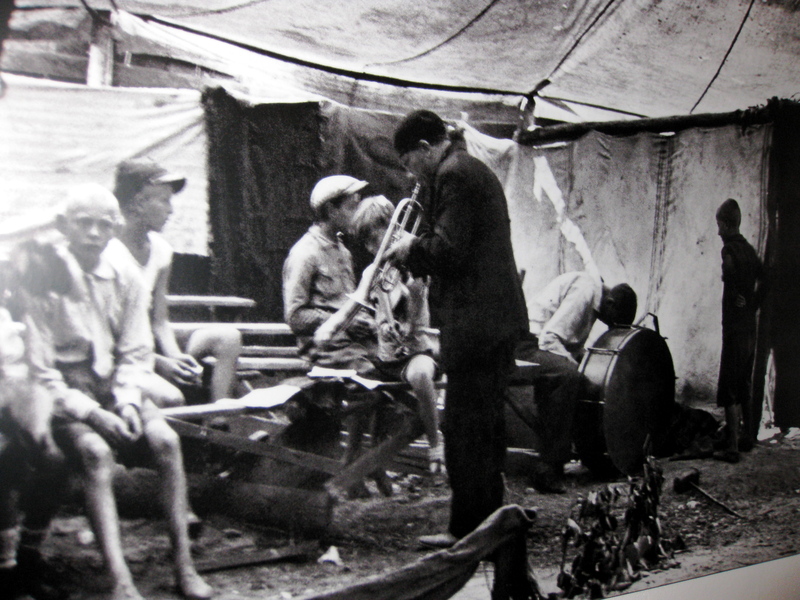 It would take many more years until I visited the town of my grandfather’s birth, walked the banks of the little Radomka River where the circus set up its canvas tents when it came to town. It would take more years until I gained an appreciation for Louis’ sacrifices, his devotion to family, his willingness to take risks (a watermelon farm in Bay Minette, Alabama!) even if they didn’t pan out. 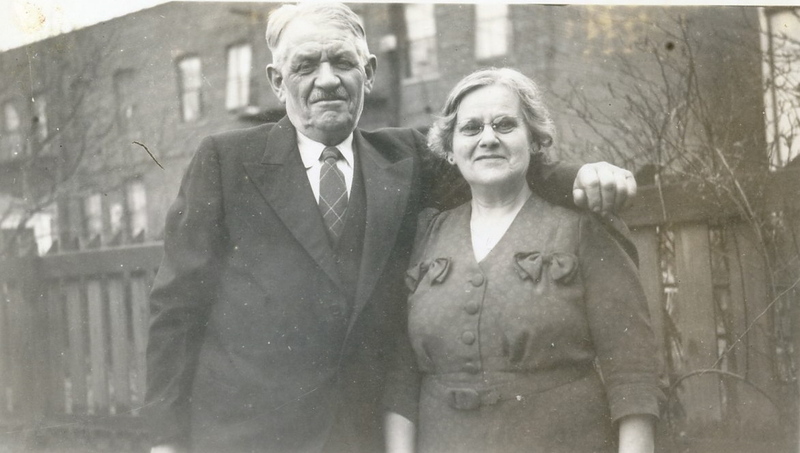 Here are my grandparents, Louis and Sarah Weiskopf, not long before my grandfather Louis died. I raise a toast to them as 2010 draws to a close. Thank you Louis and Sarah, for crossing the Atlantic on the Furnessia, for your love of toil and constant struggle, and for my gifted mother Anne whom we all miss terribly. This entry was posted on December 27, 2010 at 6:45 pm and is filed under Poland with tags Evelyn Beatrice Longman, Metropolitan Museum of Art, NowoRadomsk, Radomsko, Weiskopf. You can follow any responses to this entry through the RSS 2.0 feed. You can leave a response, or trackback from your own site. I can hear your mother’s enthusiastic voice as she follows your explorations. She’d be so proud of you. The journey from NYC dweller, thirsting for the new world there, to 2010 after travels in the Old world, comes alive with these photos and your grandparents’ lives. Beautiful. Wonderful story and accurate information. 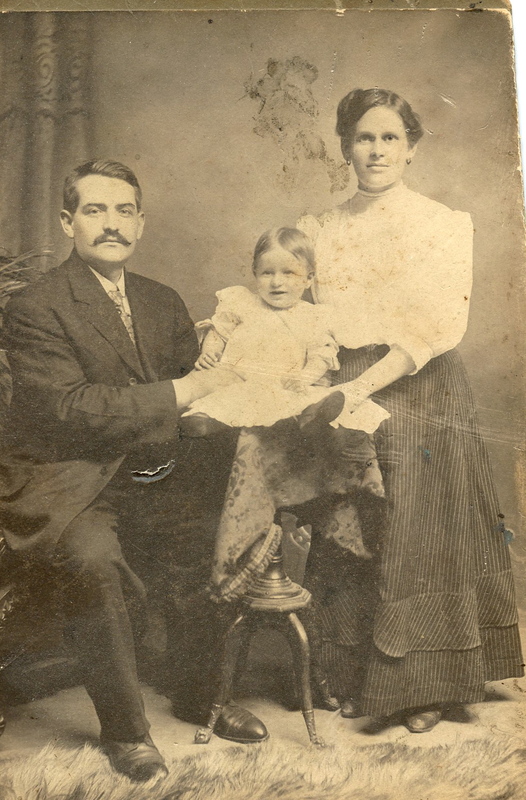 Louise Steinman is my cousin, and I love that there was a picture of our grandparents with their first born, Simon, who is my father. Grandpa Louis sold newspapers in the Bronx, N.Y., and when our family visited from Brooklyn, I’d sit inside his newspaper stand, reading magazines, and in the winter, stayed warm by some heater provided by my grandfather. Louise, your mother wrote a poem for me on the day I was born…I still have it, and yes, she would have been very proud of you as Aunt Anne was of all her children. Thanks for this article. My son, Jeff, told me about this site. I always knew that I would dive head first into your story, Louise. It’s just that yesterday I didn’t know it would be today. I’ll say ‘hello’ when I re-enter the world.